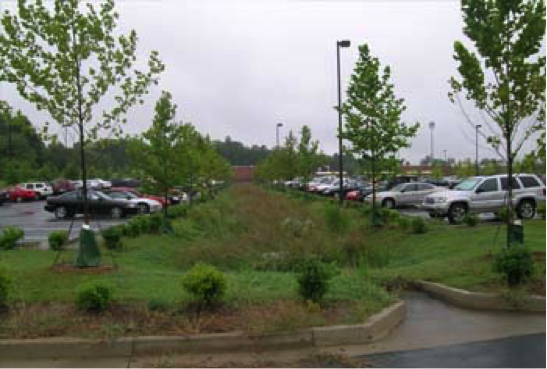 Bioretention areas, also known as Raingardens, are shallow stormwater basins or landscaped areas that utilize engineered soils and vegetation to capture and treat stormwater runoff. 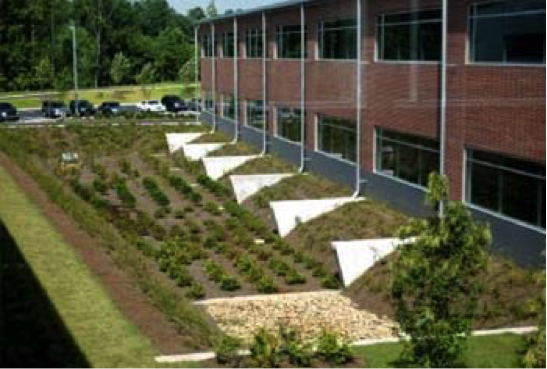 The fundamental purpose of raingardens is to route stormwater through functional landscapes that store, infiltrate, evaporate, filter, and slow the velocity of stormwater runoff, reducing peak flows, volumes, and pollutants. Raingardens are attractive as stormwater Best Management Practices (BMP’s) because they improve environmental quality while continuing to meet landscape requirements. Functional soil and landscape systems are critical to the overall performance of raingardens. Engineered soils in these projects play an important role in addition to providing the media for the plant palette. One significant function of the soil is water storage, storage of water in the soil retains water on-site for infiltration and use by soil microorganisms and plant life, which also reduces surface runoff and erosion. Other important functions of the soil are the cleansing of water and the binding of chemicals that on many occasions become water pollutants. Finally, successful plantings increase the urban forest, reduce the urban heat island effect, improve air quality, and provide a more aesthetically pleasing and sustainable environment. Raingardens can have many different designs and be installed in many different locations, for example; the edge of roads, adjacent to gutters and downspouts, in a corner of a lawn, or in the medians of parking lots. Use for: an engineered soil used in cells / ponds to route stormwater through functional landscapes that store, infiltrate, evaporate, filter, and slow the velocity of stormwater runoff, reducing peak flows, volumes, and pollutants. 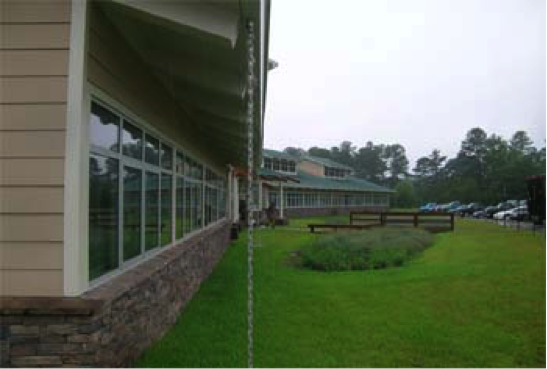 Retains water on site, Reduces Urban Heat Island , Helps breakdown contaminants that would otherwise wash down gutters, provides an aesthetically pleasing alternative to traditional retention ponds. ERTH Products Structural Firelane soil is engineered to provide the structural integrity to support emergency vehicles, while also having the biological and horticulture properties to create a sustainable landscape. HydRocks, the same material used in lightweight concrete, provides the structural strength in the soil mix, while the special blend of clay and ERTH Food provides the microbes and nutrients to create a living soil able to breakdown contaminants, cycle nutrients, and feed the landscape. Green Benefits Retains Water on site, Reduce Urban Heat Island , Helps breakdown contaminants that would otherwise wash down gutters, Provide recreation area and nature habitat. CU-Structural Soil Mix™ is a patented soil mix developed by Cornell University and licensed to producers by Amereq, Inc. This is the most widely used and proven structural soil mix on the market today. The mix is made using crushed angular stone, Gelscape Tackifier, and a clay loam soil. Affordability and availability of crushed stone make CU-Structural Soil Mix™ perfect for on-grade conditions with no weight constraints. 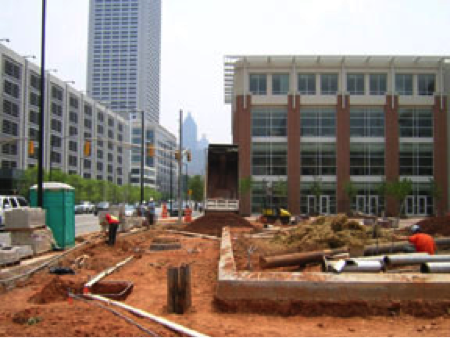 ERTH Products is proud to be a licensed producer in the State of Georgia for another proven engineered soil–CU-Structural Soil™. CU-Soil™ is an engineered soil designed to help solve the conflict between highly-compacted soil under pavement in urban environments and trees, or, more specifically, tree roots, which must try to survive in this unwelcoming environment. 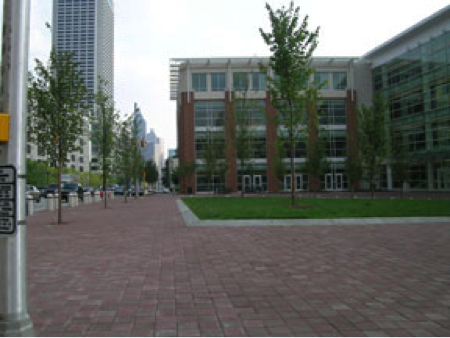 CU-Soil™ mix is an engineered soil that both bears pavement weight and provides the proper root environment for trees to thrive. CU-Soil™ consists of a precise stone size along with a precise soil mixture and Gelscape Hydro gel to adhere the soil to the stone. This results in an engineered soil that provides stability, air space, and water- and nutrient-holding capacity, helping to ensure a sustainable landscape. 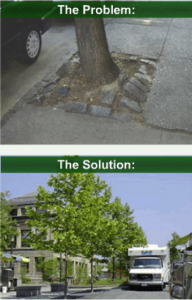 ERTH-HydRocks Structural Soil is an engineered soil designed to solve the conflict between highly-compacted soils under pavement in urban environments and trees whose roots are unable to grow beyond the confines of a tree pit into the compacted soil. The mix can be compacted to legal density to ensure pavement integrity yet still possess the physical and organic properties vital for root growth.